An endless panoramic view of the sea from the only plateau on a very steep hill, you couldn't pick a better spot. 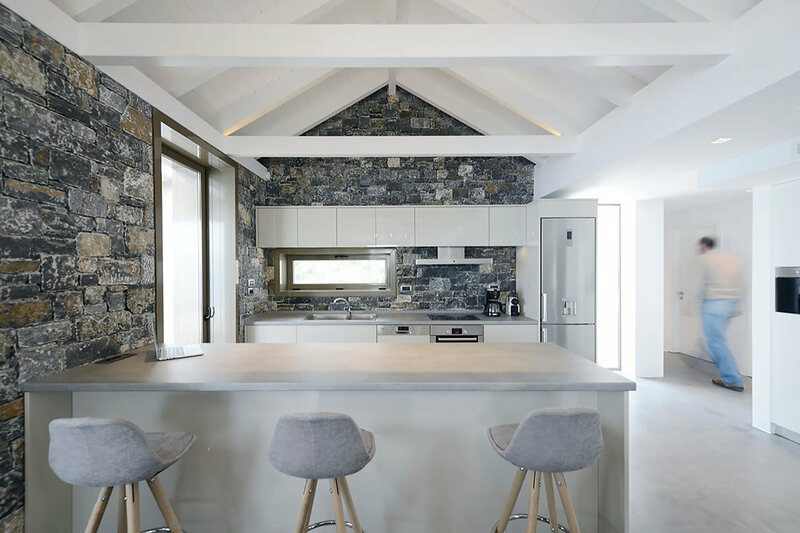 This wonderfully modern home from architects Valia Foufa & Panagiotis Papassotiriou borrows some design features from traditional and local architecture to create a summer home that is both contemporary and classic. A very simple landscaping job and modest pool make very an extremely low maintenance home that you don't have to worry about tending to while back in the real world. Stepping into the home you see the clear white render meeting with cool Arcadian stones, a great example of classic materials mingling with modern finishing and appliances. 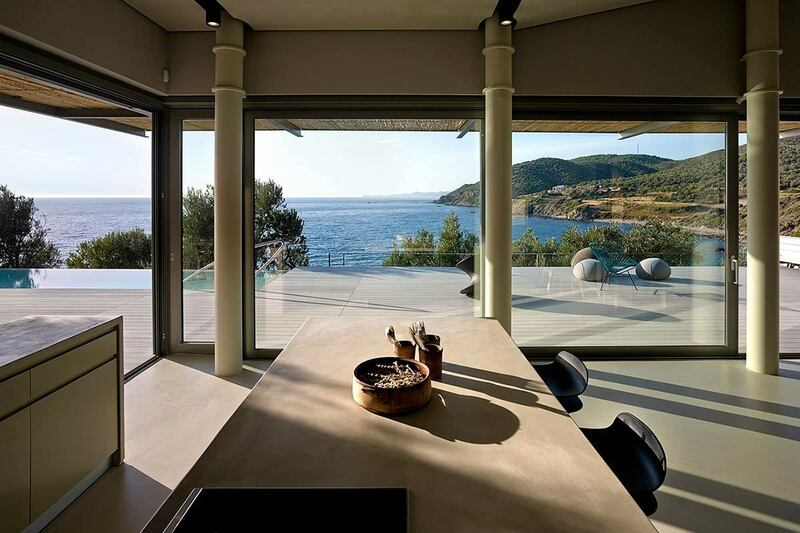 Floor to ceiling windows all serves openings to the outdoor space to offer great exposure to the sea breeze and panoramic views. 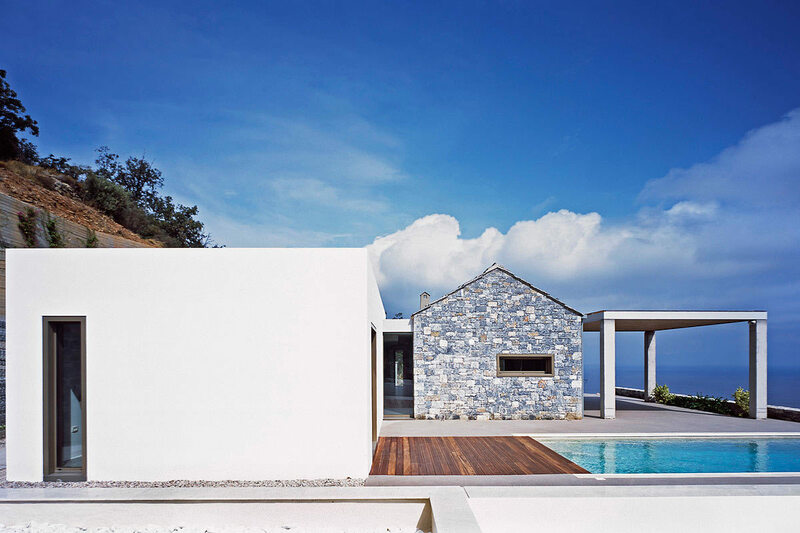 We love how restrained and minimal this coastal greek home is. Retirement doesn't have to be a solitary experience. 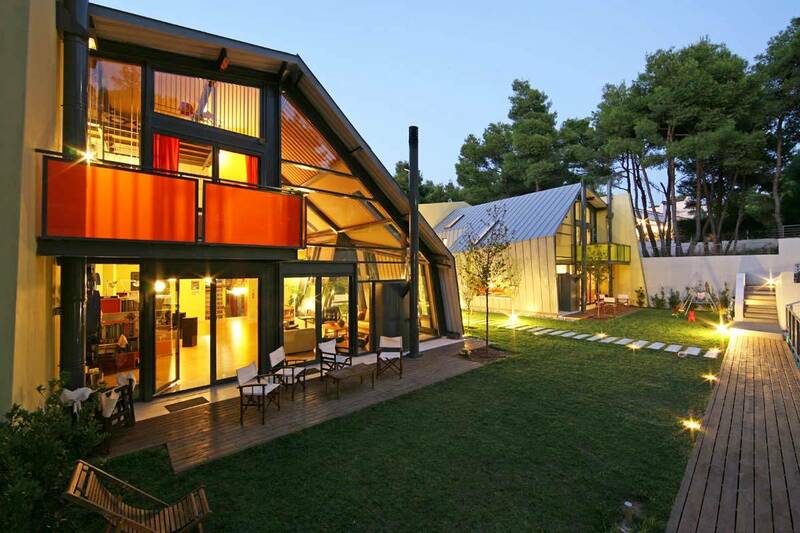 You and your family can follow the example of these unique residences in Anixi, Greece. A lot that houses two private residences which share a well groomed outdoor space perfect for multi-family vacations. The quirky structures are constructed of a metal frame which rests on an outer concrete wall. Mirror images of each other the two homes have windows and openings situated as such not to have the need to close the blinds for privacy. 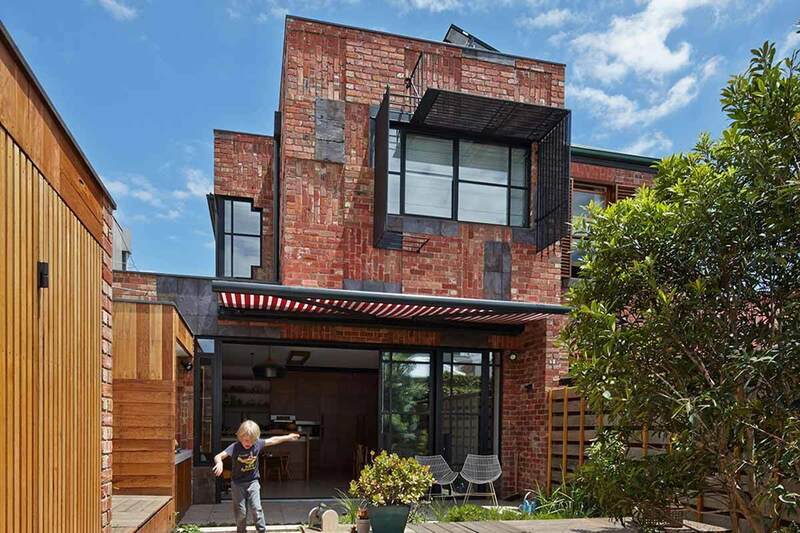 A great experiment in architecture from React Architects. 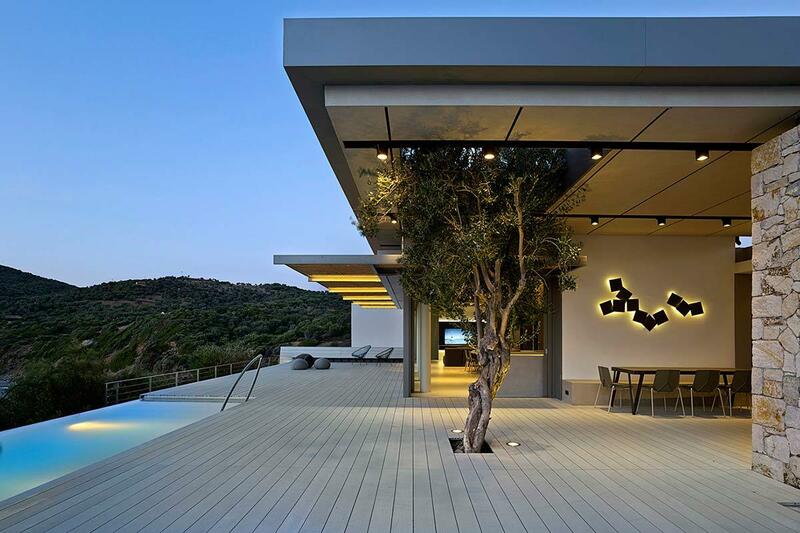 This modern marvel is situated in an olive grove on the south-western corner of the quiet island of Lesvos. 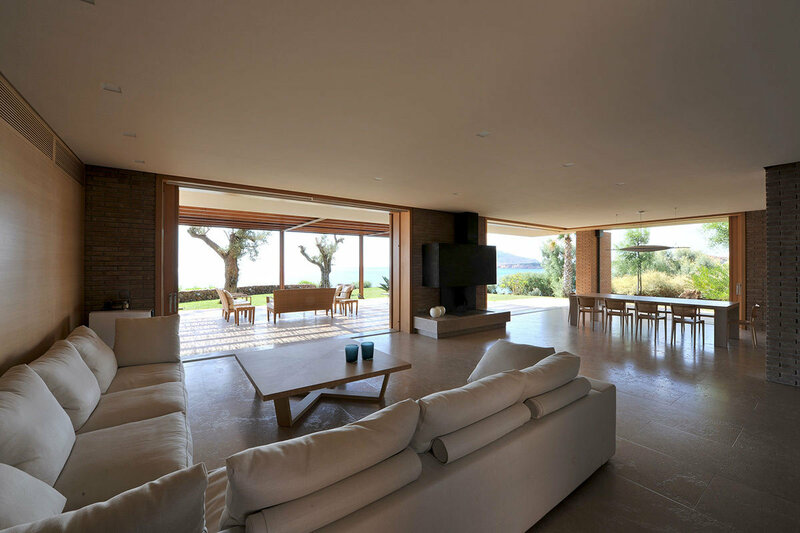 With loads of open space around it this house has breathtaking panoramic views of both the sea and lush green land. 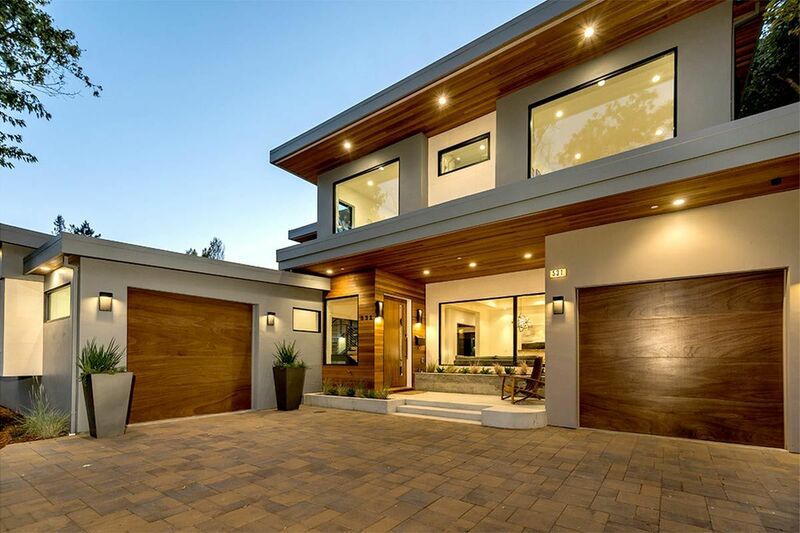 The architects at Z-Level really outdid themselves with a stunning transition between the indoor and outdoor portions of this home, you'd be hard pressed to figure out when it is exactly that you "enter the home." The owners who are used to living in Boston and Athens decided to get back to the land and buy this 3.5 hectare property to grow over 300 olive trees and bask in the glorious greek sun. 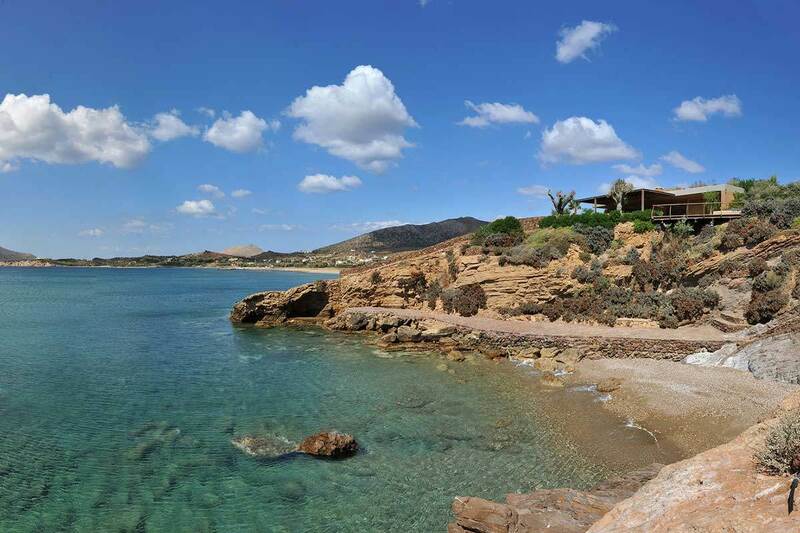 While a property like this may only be affordable for some it gives us a glimpse into what possibilities lie ahead on the acres and acres of untouched greek land. Now it's a bit challenging to see this house in its entirety without a helicopter so instead we'll walk you through from the back. 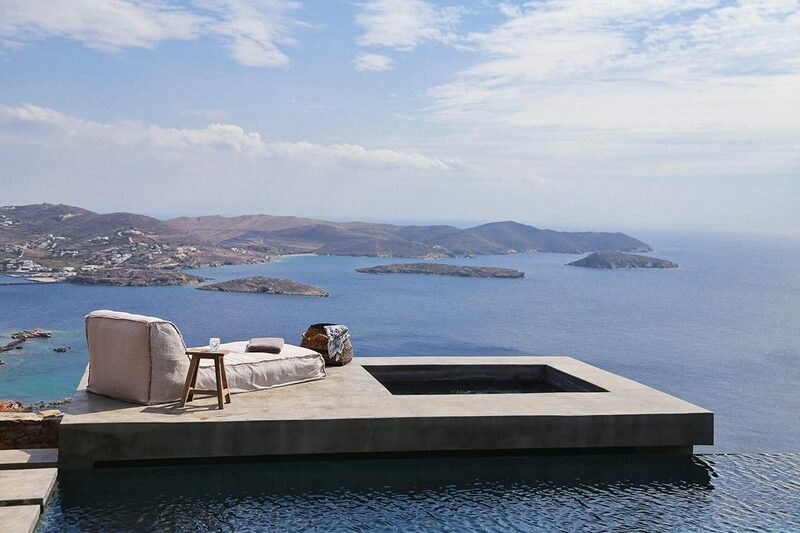 From this vantage we get a glimpse at the horizon, only a small portion of the view in which this breathtaking home sets its gaze. 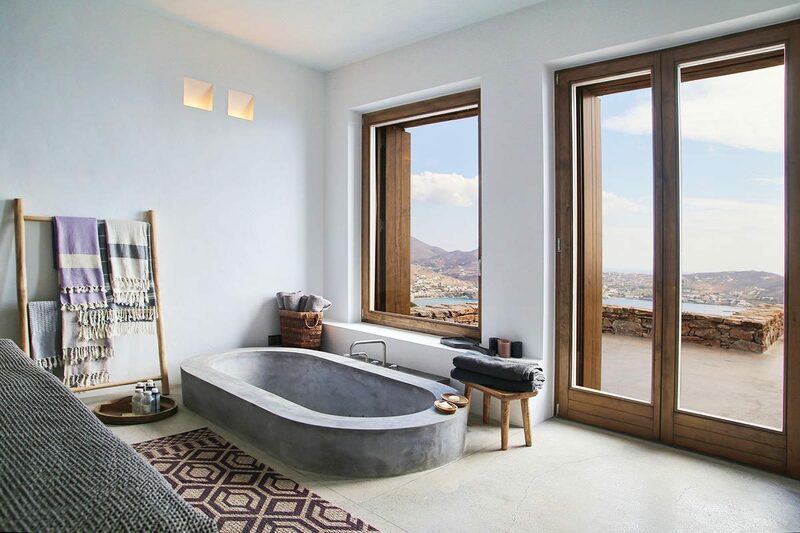 Next we step into the bathroom which is really much more than a bathroom and partakes of just as much of the view as any other room in this house. 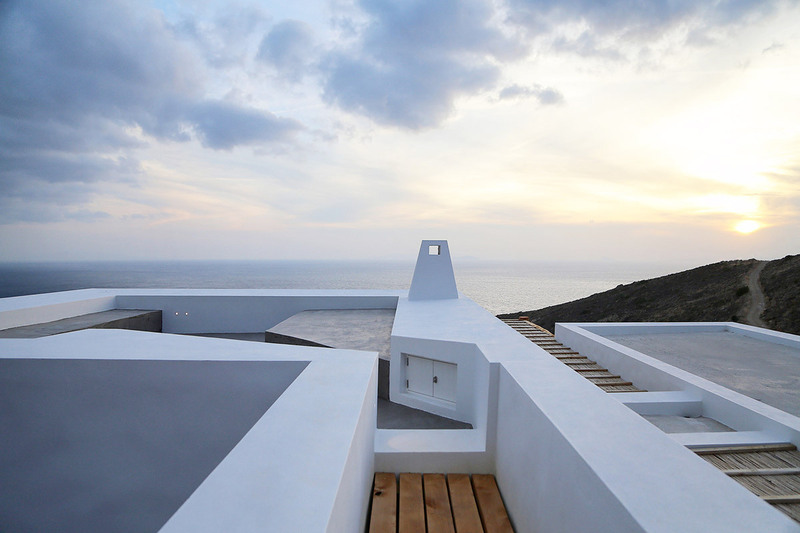 Because the home is buried into the side of the hill as sort of a deconstructed rectangle it allows for every room to have its own unique view of the Aegean sea and provides access to the spa-like outdoor space. Which brings us to the next vantage point, the amazing sunbathing and hot tub platform which has perhaps the most breathtaking view on the property. If money was no object I don't think there is any question of who we'd go to for the design of our greek retirement home, block722, again and again. 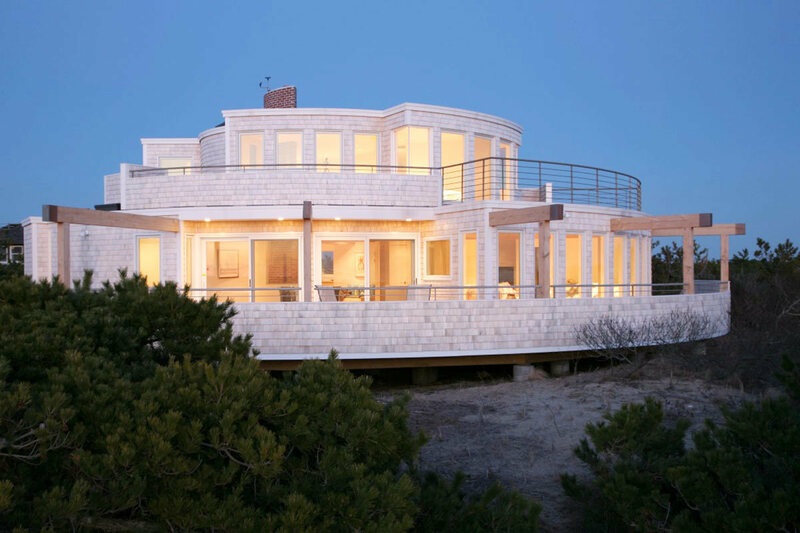 With this home there's nowhere to start but with the main attraction, the amazing beach with private access just footsteps away! Semi-submerged this home is a great example of a sustainable green home which is semi-submerged in the ground with a green roof. These features make it cool and shaded in the summer while being insulated in the winter (not that anyone is too worried about the winters). 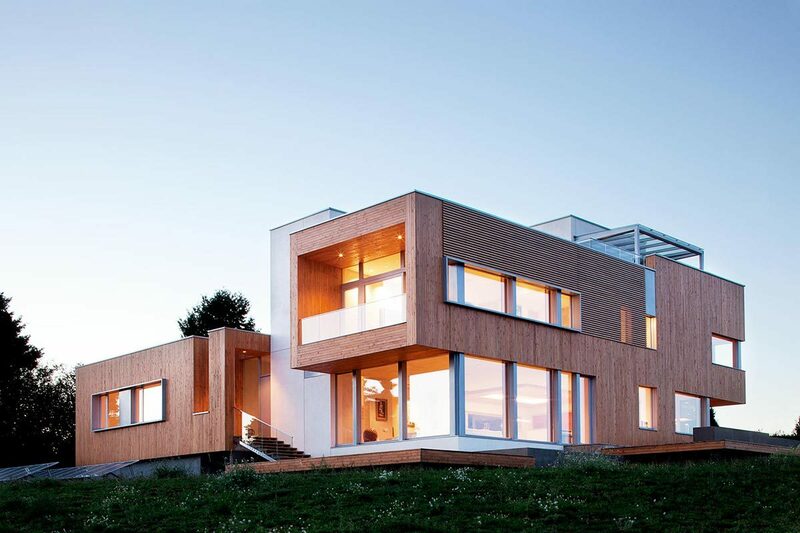 The majority of the home faces the water with large expansive openings which blur the lines between inside and out. The fresh and minimal design of the interior mimics a Japanese aesthetic which is perfect for a low maintenance summer home. A beautiful exercise in tasteful restraint from Thymio Papayannis and Associates.